Police in Philadelphia have busted a city attorney in connection with vandalism of a building with anti-Trump graffiti. The wine glass carrying dope was caught on a surveillance camera. 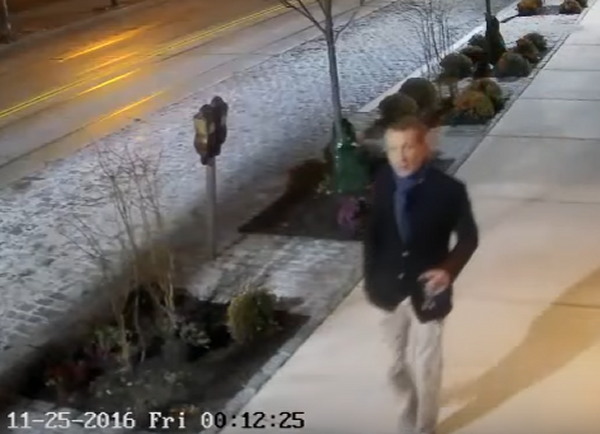 Surveillance video released by Philadelphia law enforcement appears to show that a city attorney was involved in an act of anti-Donald Trump vandalism Friday. What police likely did not expect is that one of the men– seen sipping from a glass of red wine and wearing a blazer– would turn out to be Assistant City Solicitor Duncan Lloyd. Some of these liberals aren’t very smart, are they?